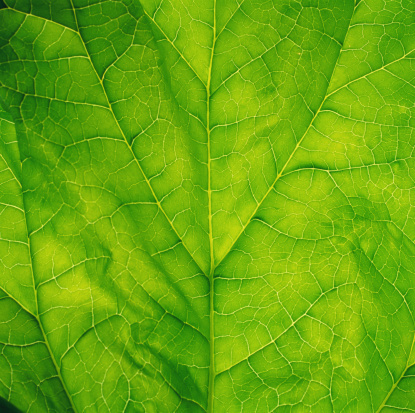 While the majority of plants contain foliage that maintains an even color throughout the growing season, some plants display their leaves in a range of color. Confederate jasmine is one variety of jasmine plant that creates a colorful display by changing the color of its leaves from green to deep red. This is a normal occurrence and is not cause for concern. The leaves on confederate jasmines turn from green to red in winter. Trachelospermum jasminoides is the botanical name for confederate jasmine. These plants also go by the name of star jasmine, due to the shape of their small blossoms. Numerous white, five-pointed blossoms appear throughout the spring and summer months, emitting a sweet, fragrant scent. Although the small blossoms are not very showy, this plant makes up for the lack of color during the cold, winter months. One variety of confederate jasmine produces leaves that appear pink and red when young. As the leaves mature, they turn mottled shades of white and green. Known as Tricolor, this variety of confederate jasmine may contain numerous reddish-pink leaves throughout much of the growing season. Changing seasons also play an important role in the development of red leaves on confederate jasmine plants. Confederate jasmine is a type of evergreen plant that doesn't lose its leaves in the winter; however, the leaves tend to change colors like some deciduous plants. In much the same way that climatic changes cause maple leaves to change colors, the approaching cold weather that signals the end of summer causes confederate jasmine leaves to take on a reddish hue. Although the cold weather causes the leaves to turn red, confederate jasmine plants retain their leaves until the following spring. As new leaf buds appear and open, the red ones fall from the plant. 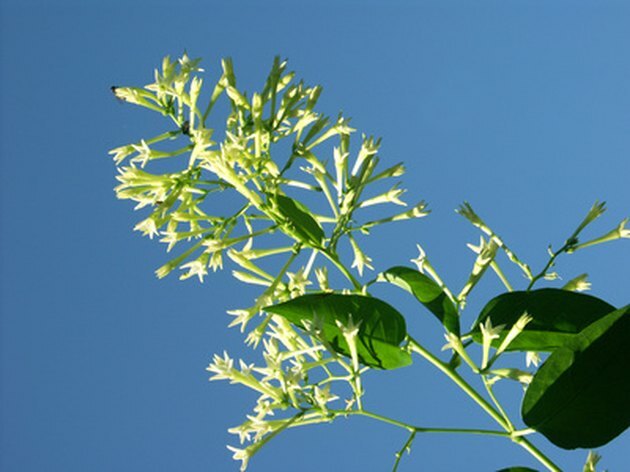 While red leaves that appear late in the year are normal for this variety of jasmine plant, incorrect care can result in unhealthy foliage and poor growth. Confederate jasmines require loose, porous soil with good drainage. Although this type of plant tolerates slight shade, the leaves provide a more colorful display when grown in full sunlight. Annual applications of nitrogen fertilizer help to encourage abundant foliage and optimal growth during the spring and summer months. Why Are My Plant Leaves Turning Red During Summer?